Looking for a safe and reliable place to store your belongings? 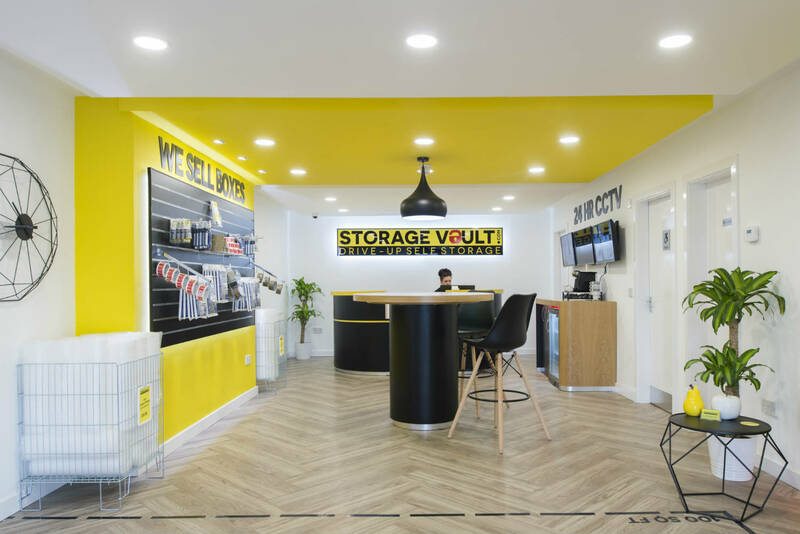 In 2018, Storage Vault opened its first Glasgow City Centre / Tradeston self-storage site. With units ranging from 10sqft (the equivalent of a phone box) to 150sqft+ our facility caters to all storage needs, business and personal. At Storage Vault Glasgow we provide a wide range of flexible and affordable storage units. To give you an idea what our storage units look like, we’ve created the video size guide below giving you a chance to compare storage units and how many boxes you can fit in before you go ahead and reserve yours. Equivalent to a phone box. You can fit a set of golf clubs, books, personal items or 15 – 20 moving boxes. Equivalent to a large closet. You can fit two large suitcases, personal items or 25 – 30 moving boxes. Equivalent to a garden shed. You can fit small furniture, personal items or 50 – 60 moving boxes. Equivalent to a small van. You can fit large furniture or 100 – 110 moving boxes. Equivalent to a transit van. You can fit the contents of a 2 bedroom home or 200 – 210 moving boxes. Equivalent to a luton van. You can fit the contents of a 3 bedroom home or 250 – 260 moving boxes. Equivalent to 2 transit vans. You can fit the contents of a 4 bedroom home or 300 – 310 moving boxes. Storage Vault is located right on the edge of the City Centre / Tradeston at 124 Scotland Street. 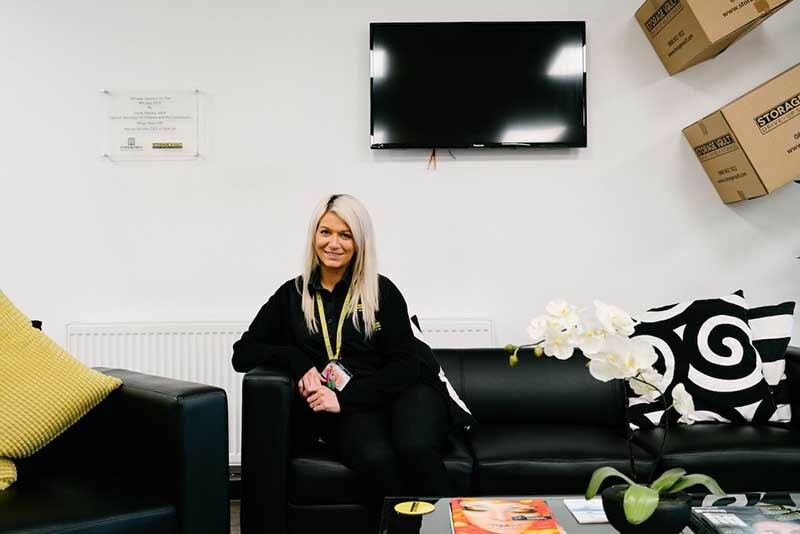 Our facility is between West Street and Shields Road subway stations, the facility has easy access right off the M8 and M74 if you’re travelling by car, and our storage facility is only a short walk from Glasgow Central Station. Long story short, whatever direction you’re coming from — reaching us is a breeze. Read more about how to get to our Glasgow facility here. Our Glasgow storage facility is based in City Centre / Tradeston and boasts a wide range of attractive features. Moving house and need somewhere to store your stuff or simply running out of space? 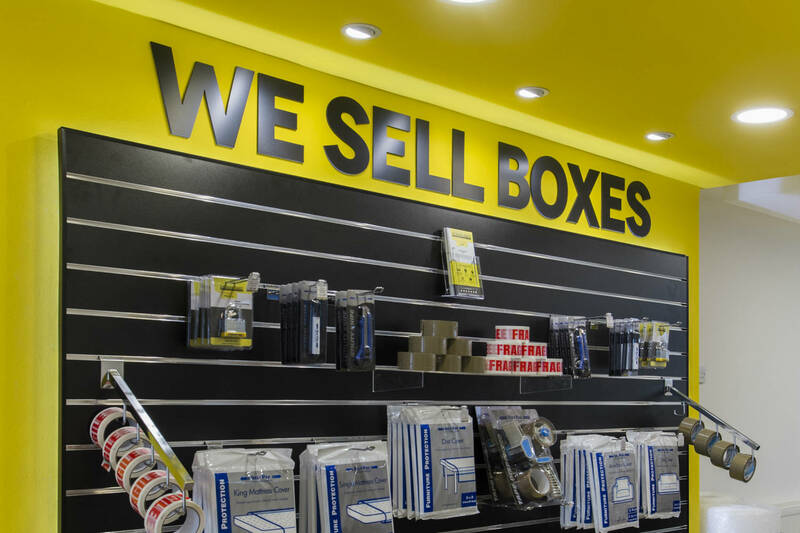 Whatever the reason, we’ve got a wide range of competitively priced storage units where you can store as much as you'd like for as long as you’d like. Get in touch today and come have a look around our facility. Running out of office space can be a blessing and a curse. 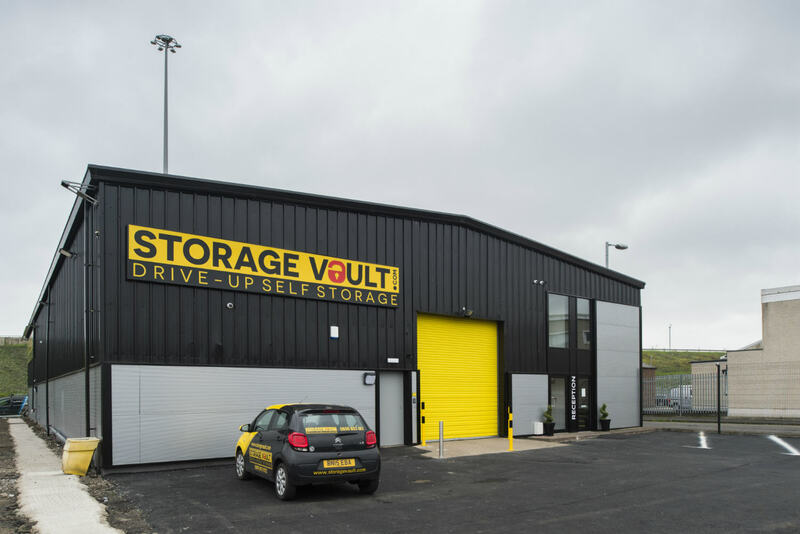 If you’re looking for somewhere to store overflow stock, archived folders or office furniture, why not check out our business self-storage facilities at Storage Vault? We can almost guarantee that renting one of our units will cost you less than upgrading your office. Maybe you’ve got too much sports equipment for your studio flat, or perhaps you’re jetting off on a great adventure over summer or for a semester abroad. Renting a storage unit is a super handy way to save some money on rent when you’re not in town. Get in touch today to hear more about our student storage and student offer. The price of your storage unit depends on the size and location of it. Our City Centre / Tradeston unit prices start at £15/ Month*. 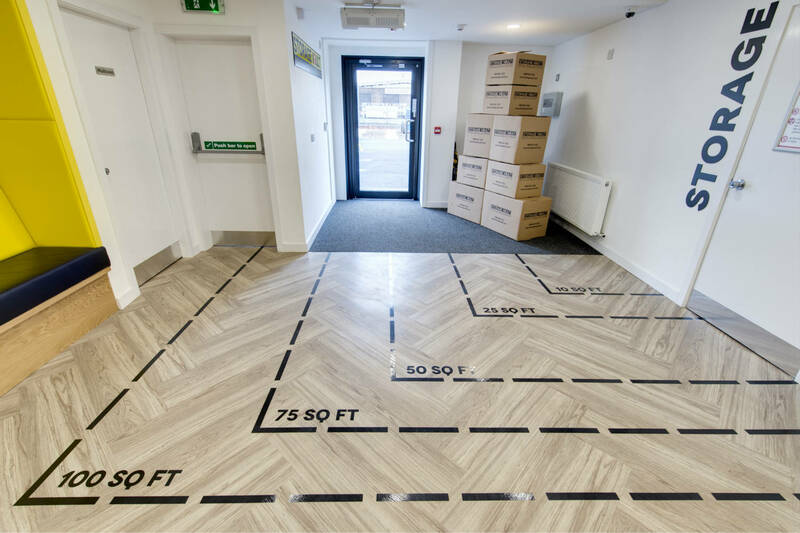 To get a quote for the size of unit you need, get in touch and we’ll walk you through what unit is suitable for you and what it might cost. *£15 is the price after initial 50% off first two months discount. From month 3 onwards the minimum price per unit is £30. Can I Store A Car Or A Motorbike In A Storage Unit? The short answer is no, unfortunately. The reason for this being that we are not allowed to store anything combustible. How Will I Know What Size Of Storage Unit I Need? It’s hard enough trying to figure out how much space 632 vinyl records and an armchair take up, and even harder to convert this into sqft! That’s why we’ve translated our measurements roughly into more relatable measures i.e. our 10 sqft units are equivalent to the size of a phone box and our 50 sqft is equivalent to a small van. We’ve listed all the different unit sizes in our available unit overview for you to check out. If you’re still not sure, get in touch and our storage experts will be able to advise you on what size of storage unit they would recommend for your storage needs. All of our payments are taken via Autopay at the first of each month. As our leases are highly flexible, we require that our storage units are paid on the first day of the month. We accept most major credit and debit cards including Visa, Mastercard, Maestro, Visa Debit, Visa Electro. We do not accept cash at any of our Storage Vault facilities. Do I have to insure my contents? Yes, for you to be able to rent a Storage Unit you are obliged to insure the contents. We offer a competitive content insurance for your unit, but you are welcome to insure your contents elsewhere instead too. You would usually pay a few pounds per month extra for your insurance but the exact number will depend on the total value of the items you’re storing. I’ve booked a unit, what’s next? Once you’ve gone ahead and booked a unit you’ll need to come down to your local Storage Vault with a proof of address so we can get you set up on our system. Your proof of address can be an electricity bill, GPs letter, pay slip or similar but should be no older than 3 months. Setting you up should take around 20 minutes and once that’s done you’re free to come and go as you wish within the access time. Is Storage Vault Glasgow City Centre/Tradeston a bit out of your way? Don’t sweat it, we’ve got other self-storage facilities in Cambuslang, Bishopbriggs and Rutherglen too.